This page highlights Artstor content related to world music throughout the ages, including images of musical scores, composers, performers, instruments, and venues such as concert halls and opera houses, as well as examples of musical iconography. Image credit: Attributed to Matteo Sellas. Guitar. ca. 1630-50. Image and data courtesy the Metropolitan Museum of Art. Browse by classification for Performing Arts and then select a country name. Keyword search for aesthetic movements or names of individual musicians, composers, or conductors in order to find portraits or photographs of performances. 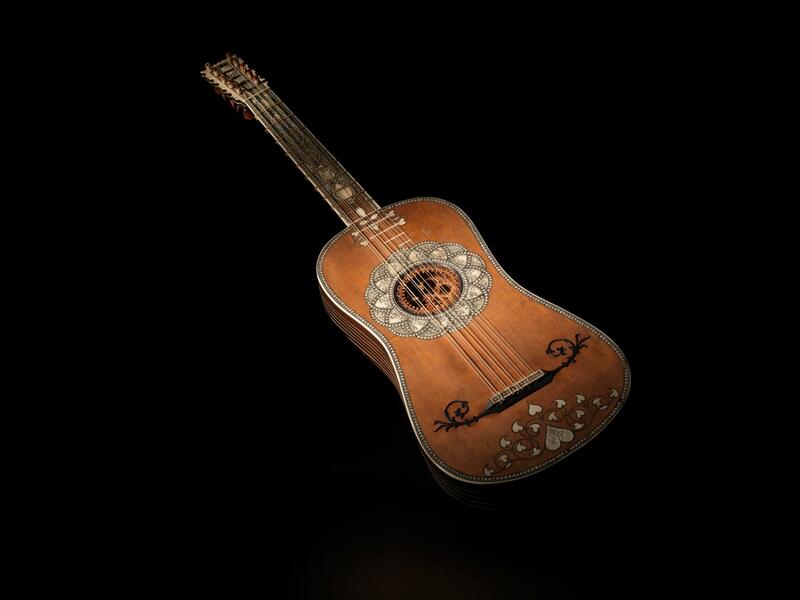 To find examples of musical instruments, browse museums with encyclopedic collections (e.g. The Metropolitan Museum of Art or the Museum of Fine Arts, Boston) and select the category for Decorative Arts. Try these sample search terms to find images related to music history. Don't forget to use the search filters to narrow your results. The Bodleian Library at the University of Oxford and Princeton University Library have shared approximately 27,800 images of Medieval and Renaissance manuscripts and early printed books. These outstanding collections include manuscripts related to the performance of the mass and divine office, which contain sung elements that are recorded with musical notation. Scholars and students may study the evolution of musical notation by viewing images from complete books of liturgy, the missal and the breviary, as well as in specialized volumes for the choir, such as the gradual, antiphonal (or antiphonary), hymnal, psalter, troper, and processional. Medieval and Renaissance depictions of music and musicians may be found in these musical manuscripts and books of hours, as well as in the illuminations, borders, and marginalia of countless manuscripts in both collections.